Belatedly, and with apologies for the delay, the final Euro Tour Leaderboard has been revealed. Following last week’s Euro Tour season-ender in Namur, which concluded eight races in six weeks across seven different nations, the rankings have been updated. Below is an extended recap of the entire “European Summer of SUP” adventure, including the top performers at each race and the overall Top 10 on the Leaderboard. Read through it and relive the memories if you have time, or if not just skip straight to the Euro Tour Leaderboard to see the final rankings from Europe 2015. The Euro Tour. 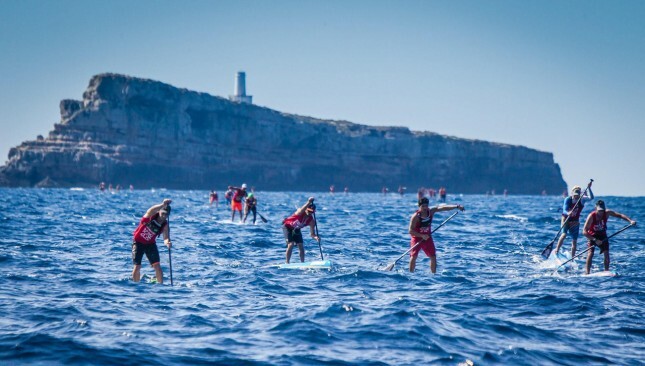 It all started way back in May on the picturesque Mediterranean island of Mallorca, where the Port Adriano SUP Race kicked off the 2015 Tour in style. With the photographer’s helictoper hovering and the million dollar mega yachts creating an awesome backdrop, the race set the standard for the rest of the Euro Tour, with Germany’s Sonni Honscheid crushing the women’s field and Connor Baxter involved in a battle royale with Aussie Travis Grant, his Starboard team mates Titouan Puyo (France/New Caledonia) and Leonard Nika (Italy), and Rogue’s Bicho Jimenez (the hero of Mexico). 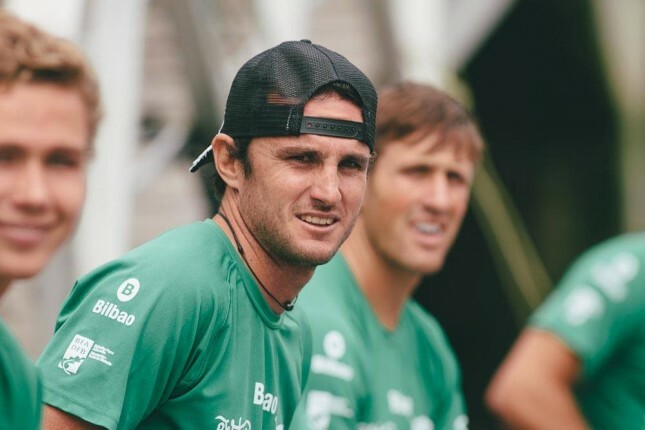 After a titanic struggle in very tricky ocean conditions, Travis would go on to take the win just ahead of Connor, while Titouan held off Leo for the last step on the podium. It was quite symbolic that three of those top four guys would go on to take three of the top four spots in the final Euro Tour leaderboard rankings. The only one missing from the top of the table at the end of the season was Travis Grant, who spent just two weeks in Europe this summer and therefore counted a donut in his best three results (though even with that he still almost made it). The Mallorcan weekend finished with the short, sharp, and totally chaotic Red Paddle Co. Inflatable Sprints extravaganza. In what was one of the funnest races of the year, Travis managed to snag the win again, narrowly ahead of Titou. On the women’s it was Shelby Taylor causing the upset, with the traveling Riviera team rider taking out Sonni the superstar. And in a very bright sign for the future of the sport in Europe, the kids racing was filled with dozens and dozens of very enthusiastic (and very talented) micro groms of all ages. Big thanks to Port Adriano and the Mar Balear SUP Club for hosting such a wonderful event. 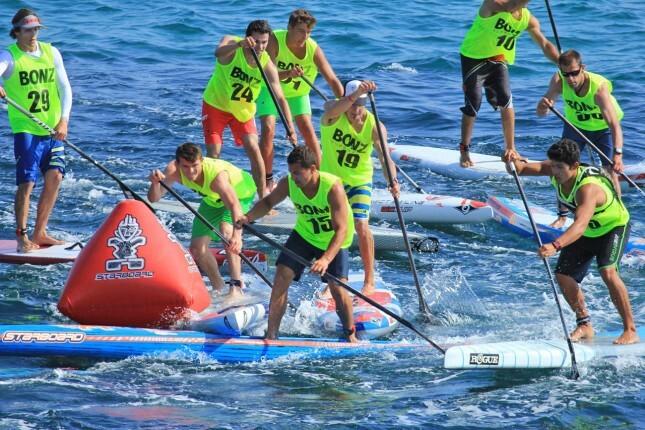 From Mallorca, the Euro Tour field split in Week 2 between the classic SUP Race Cup in St. Maxime, France, and the new St’Ives Bay Celtic Cup in the south of England. St. Maxime drew the most competitive lineup, with Titou and Travis once again going head to head. Trav was joined in France by his fellow Aussie (and fellow Top 5 world ranked paddler) Jake Jensen, however nobody could stop the guy on the blue NSP board from making it two wins in two weeks. Titou got closer than anyone though, which helped cement his position inside the world’s top 10 and near the top of the Euro Tour Leaderboard. Once again Sonni Honscheid dominated the women’s race, overcoming her SIC team mate Lina Augaitis (who would announce her pregnancy the following week) and local French heroine Celine Guesdon. Over in the UK, where the weather was slightly chillier but the enthusiasm just as high, Connor Baxter held off a spirited group of challengers in an interesting upwind/downwind/sidewind ocean race. Hosted at the beautiful Carbis Bay, just around the corner from the postcard-perfect fishing village of St. Ives, the inaugural St’Ives Bay Celtic Cup added a unique element to the British racing scene, where almost every race is held on flat water. Fernando Stalla from Mexico, who dove into the Euro Tour with more enthusiasm than just about any other international athlete, finished second, getting some slight revenge on Paolo Marconi, who had edged him out in Mallorca seven days earlier. On the women’s side it was Fiona Wylde all the way, showing her fighting spirit to defeat the UK’s Marie Buchanan and rising prospect Ane Zulaika (Spain/Italy). The Euro Tour crowd came back together for Week 3, where one of Europe’s all time classic races, the Lost Mills International, headlined the European summer of SUP. The week started with the novel “Fastest Paddler On Earth” time trial, which was won by Trevor Tunnington (a New Zealander that lives in Australia’s paddling mecca of Queensland). Some would say it was a surprise win, but anyone that’s followed Trev’s progress over the past few years knows just how talented he is. The Lost Mills has a bit of a reputation for poor weather (who could forget the wash out in 2013? ), however this year it was almost *too* good. 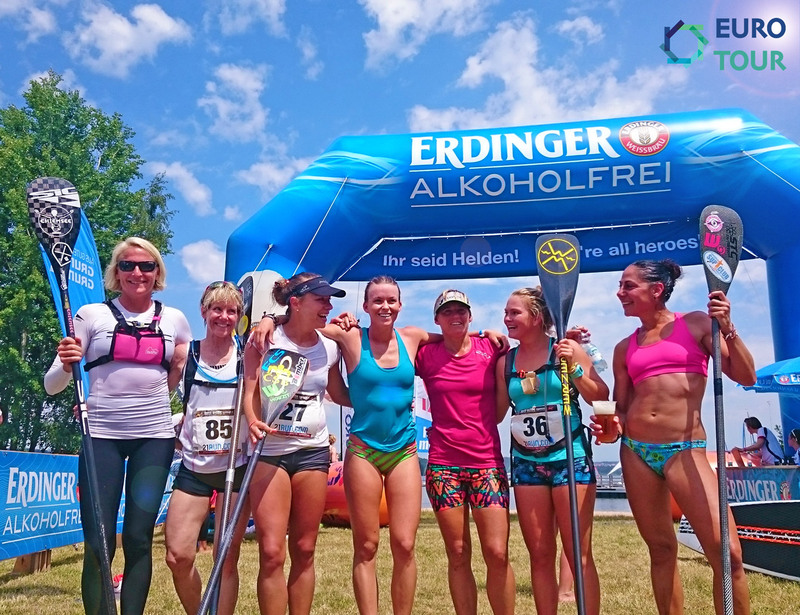 With 31 degrees (88 Fahrenheit) of beautiful Bavarian sun blaring down on competitors, the 18km distance race was a long, hot and very draining affair. Such was the heat that Lina Augaitis, who was the quickest of the women in the Fastest Paddler time trial on the Thursday, sat out the main event on the Saturday over health concerns (it was around here that Lina publicly announced she was pregnant and would soon be taking a break from racing). With just a touch under 100 guys lining up for the 18km “elite division” – something of a record for racing in Europe – the start was absolutely hectic (as you can see in the awesome clip above). Despite a very wide starting line, there was endless jockeying and bashing of boards and paddles as the top guns and dark horses battled for prime position. As the inevitable draft trains began to take shape, there was still a lead pack of around 30-35 paddlers. The herd eventually thinned out, however the depth of talent on display at this year’s Lost Mils was a fantastic sign for the future of SUP racing in Europe. While the Lost Mills 2015 wasn’t the most competitive race of all time (though it did score very high on the Race Index), it was certainly one of the deepest fields I’ve ever seen, definitely THE deepest field ever seen at an event outside the USA. Just making the Top 30 this year was a real achievement. Overcoming the challengers best was Connor Baxter, who won a tight sprint to the line (how these guys managed to sprint after 18km of draining paddling is beyond me) with his Starboard team mate Titouan Puyo. Right behind them, young gun Trevor Tunnington overtook France’s Arthur Arutkin to make it a clean sweep of the top podium for Starboard (technically the “podium” at the Lost Mills goes right down to the Top 10, but let’s not let that get in the way of a good story). There really was such a huge depth of talent at this race. Just look at how many big names finished down the order. Two-time winner of the Lost Mills, Eric Terrien, along with his BIC team mate and the only other previous Lost Mills champion, Chase Kosterlitz, just managed to scrape into the Top 10, while big international names such as Casper Steinfath and Fernando Stalla didn’t even get that far. The Lost Mills women’s field was much smaller than the men’s (a theme that would be repeated throughout the Euro Tour, and at virtually all major races around the world for that matter – something that seriously needs to be addressed), however the talent at the pointy end was nothing if not elite. After pre-race favourite Lina pulled out over health concerns, the door was open for Sonni Honscheid and Angie Jackson to claim the crown. Right from the go, these two strong ladies were in a race of their own. The duo went head to head all the way to the 16km mark, where the German made a break on the second of the Lost Mills’ two infamous “portage” runs (the Lost Mills course is broken up into two large lakes, with a 100m run between each; the course is an 18km loop, so competitors have to run the portage twice; the second portage run, at the 16km mark, is particularly painful but is a great way to break a draft). Celine Guesdon from France picked up her third top three finish in the space of seven days, cementing her spot near the top of the Euro Tour Leaderboard, while 56-year-old Carol Scheunemann from Germany put in one of the most surprising performances of the summer, claiming fourth place ahead of well known internationals such as Fiona Wylde. Carol is a former elite distance runner that loves the endurance type of racing, however until this year she was a virtual unknown to almost all of the SUP racing world. After the obligatory post-race celebrations (I swear the bowling alley at the official host hotel must close for a week after every edition of the Lost Mills), the Euro Tour trailer loaded up with a world-record 32 race boards and headed south on the 19 hour drive to Bilbao. Week 5. The Bilbao World SUP Challenge in the beautiful Basque Country of Spain. I’m not sure what everyone’s favourite part of this event is: Is it the paddling? The pintxos (the Basque version of tapas)? Or the patxaran (a dangerously tasty local liquor)? This part of the world is home to some of the most ridiculously-delicious food (and drink) you’ll ever consume, which makes it a favourite for many of the paddlers. Out on the water, the event opened on Saturday with the knockout sprints, where organisers experimented with a unique “twin buoy” system. Paddlers had the option of either turning right or left at the main buoy on the roughly-250m course, which meant the field was almost always split at the halfway mark and the winner wasn’t decided until the final moments. 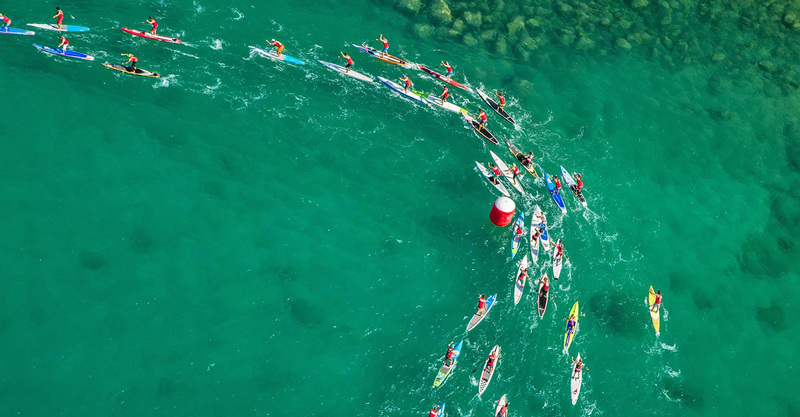 This partially helped to solve the “whoever gets to the first buoy wins” problem that plagues most short sprint races, though it really only made it “the two paddlers that get to the first two buoys get first and second”. Still, it was a definite improvement and good to see major event organisers pushing the boundaries with race formats. In a mild spot of controversy, Connor’s runner-up in the sprints was scratched after the race, with the always-passionate and occasionally hot-blooded Hawaiian receiving an “unsportsmanlike conduct” penalty for getting into a bit of a scrap with Leonard Nika. Connor was unimpressed with Leo’s aggressive racing tactics and let his team mate know all about it at the finish. Connor took it one step too far though, slapping Leo in the back of the head right in front of the well-assembled crowd. This little kerfuffle led to an interesting atmosphere during Sunday’s distance race. 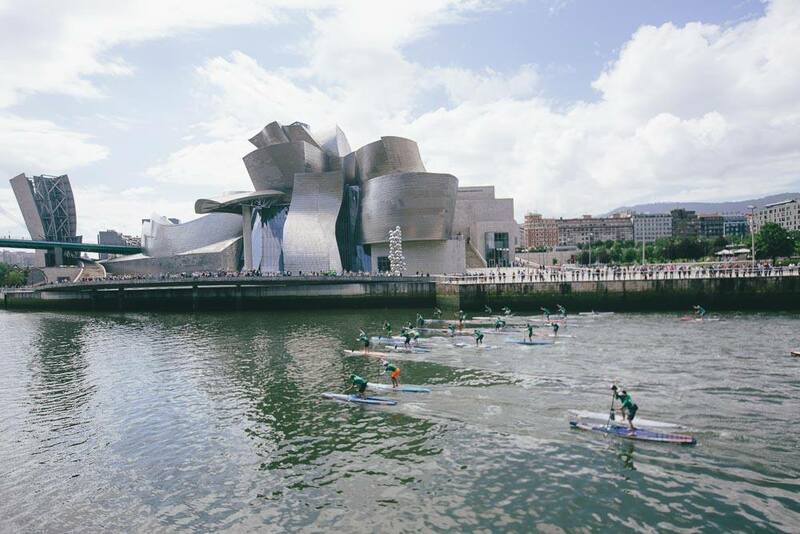 With a large crowd of Sunday strollers and glorious sunshine belting down and the iconic start line right beside the epic Guggenheim Museum, the elite crew wove their way through the city for 13km of draining and very tactical racing. Eventually the quartet of Connor, Titou, Arthur and Leo broke free, after a slight mistake from Jake Jensen at a buoy turn caused the 12-strong draft train to splinter. Those four would extend their lead all the way to the line, with Connor pipping Titou on the line by the absolute narrowest of margins. It was quite literally a photo finish, with the winner only being identified 15 minutes after the race was done. On the women’s side it was a vintage performance from Lina Augaitis, who somehow managed to break the draft of Sonni and Angie in a relatively calm, flat stretch of water, before surging clear to win by a comfortable margin. It was quite a statement from the SIC champ, who would go on to compete the following weekend in Payette before taking a very long break from the sport to have her first child. At the end of the Bilbao weekend, and after an unfortunately poorly-communicated points system (my fault) caused some frustration/confusion among the paddlers, Connor took runner-up overall behind Titou and ahead of Leonard Nika, who really stepped it up in Europe this summer. On the women’s side it was a clean sweep from Lina, with the Canadian getting one back on her SIC team mate Sonni. Shelby Taylor finished off her impressive European campaign by claiming runner-up in the sprints and 5th in the distance to take 4th overall. From Bilbao quite a few of the crew flew stateside for the big Payette River Games, while the rest split their journeys between Noja, just down the road in Spain, and Marotta, Italy, home of the Adriatic Crown. 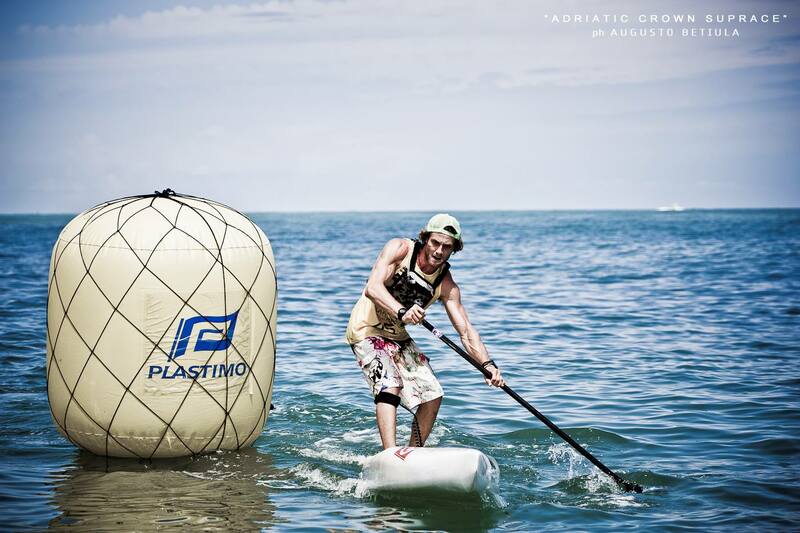 The Adriatic Crown attracted the more competitive lineup, with the Italian crew, who have really stepped it up this summer to challenge the other powerhouses of European paddling, taking on a few of the Aussies and other international warriors. While Leonard Nika has been the most successful Italian over the past twelve months, the Starboard team rider had to play second fiddle in Marotta to his compatrio Paolo Marconi. Paolo showed glimpses of his potential in Mallorca and St. Ives, however he really showed his strength at home. The Jimmy Lewis team rider, who traveled the Euro Tour with his girlfriend and fellow name-to-watch Susak Molinero, took out the beach race and finished second to Jake Jensen in the distance event to claim the overall Adriatic Crown… crown. Jake finished runner-up while Leo was third overall, however the real story was just how strong the Italian paddling scene is these days. In the past, Europe has been supremely dominated by the French, with smaller outposts in the UK and Spain offering some resistance. But this year Italy clearly stamped itself as the number two nation in Euro land, showing off a very rich depth of talent throughout the summer. There’s at least half a dozen Italian guys that would be Top 10 contenders at any race in Europe. Names to watch, apart from Paolo and Leo, include Davide Iconico, Davide Codotto, Claudio Nika (Leo’s brother), Leonardo Toso, Bruno Caparella and the original Italian Stallion Fabrizio Gasbarro. I’m no doubt forgetting a couple of others while there’s probably another half a dozen that’ll step it up in 2016. Very good sign for the future of SUP racing in Europe. 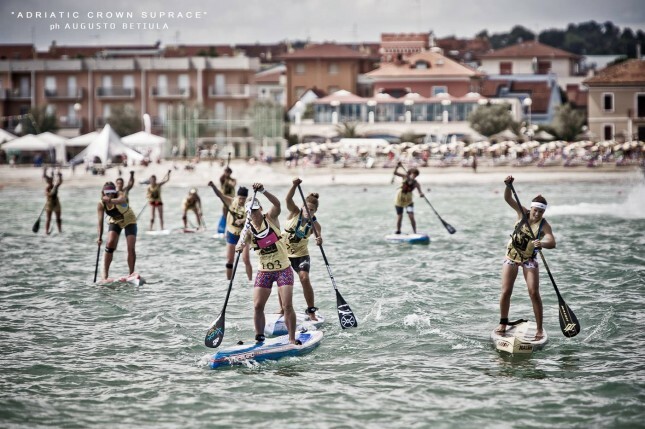 In the women’s Adriatic Crown it was Angie Jackson, who suffered a string of narrow defeats to the SIC powerhouse duo of Sonni and Lina in the previous two events, finally getting the win she’d worked so hard for. The Aussie just scraped past the rising star of Europe, Slovenia’s young gun Manca Notar. Manca had an interesting Euro Tour campaign this year, in that it was almost non-existent. Despite the fact she’s already been on the scene for a good three or four years now Manca only just finished high school this summer, and her final exams got in the way of pretty much every major race. Manca and her family did a 10 hour round trip to compete in just one day of the Lost Mills, the “Fastest Paddler” time trial. She didn’t even have time to stay around for the main event, so the Adriatic Crown was the only result Manca was able to count for the Leaderboard. Finishing third in Marotta was Jimmy Lewis rider Susak Molinero, who capped off a great Euro Tour campaign, finishing sixth on the final leaderboard. Back in Spain the other half of the Week 5 “split round” was taking place, with Roman Frejo and Ane Zulaika taking wins on their home turf. The Deep SUP Race (or just “Noja” as it’s affectionately known) is a beloved community race that does a great job of pushing the youth side of the sport, something that’s been a recurring theme in the Euro Tour. 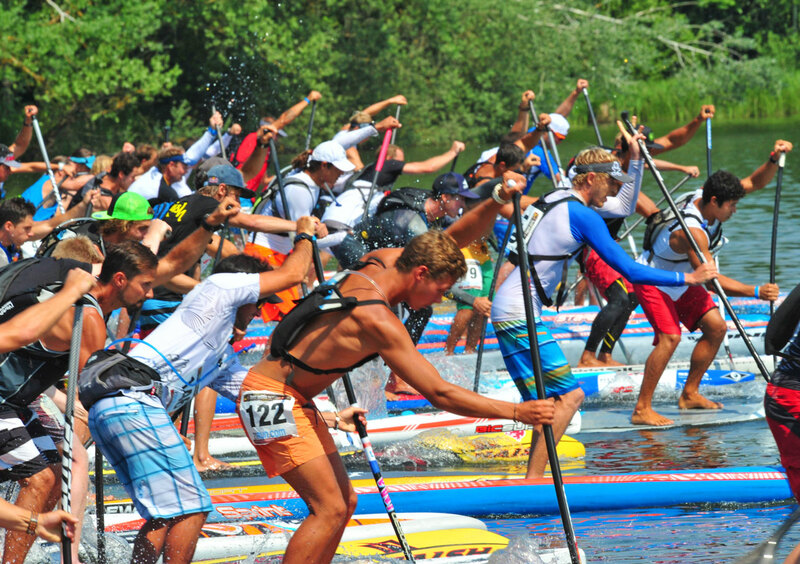 Finally, the 2015 Euro Tour wrapped up with the Happy Summer SUP Race in Namur, Belgium. With many of the internationals splitting to Barcelona that weekend, Namur had a low-key but appropriately “happy” vibe to it. Given the lower level of competition in Week 6 compared to the month preceding it, nobody was really surprised to see Titouan Puyo standing on top of the podium. Titou finished ahead of French dark horse (and one to keep an eye on) Joseph Gueguen, while on the women’s side it was Lost Mills heroine Carol Scheuneman picking up another swag of Euro Tour Leaderboard points. So that was the Euro Tour. It was a grand month and a half of traveling and racing through Europe, with just as many stories happening off the water as there were on it. And that’s really what the Euro Tour is about. Promoting the sport of stand up paddle racing, developing the local paddling communities but also enjoying the adventure of traveling with new friends and old. Thanks to all the paddlers that made it so much fun, thanks to all the race organisers that did the most thankless job in the world with a smile, thanks to all the sponsors and supporters, all the kids that raced with so much enthusiasm and stoke, thanks to all the paddlers that gave up their spare bedrooms and couches, thanks to all the people and places that provided us with a colourful and entertaining month on the road in Euro land. It was certainly an adventure. 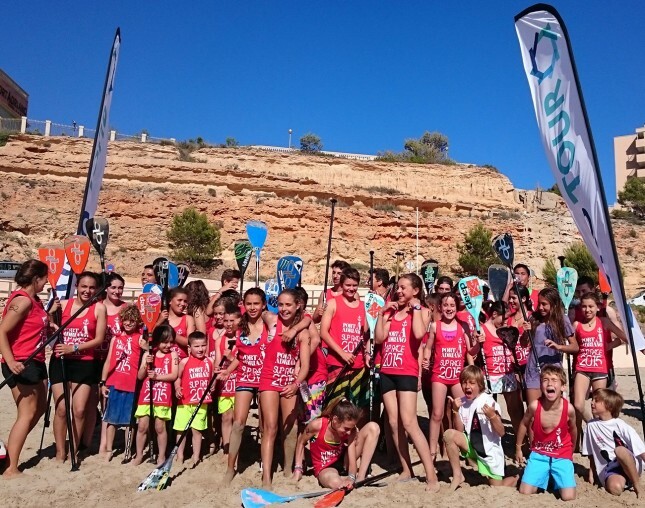 There are paddletics involved in every corner of the stand up paddling world, and Europe is certainly no exception, however one did get the sense that the Euro Tour laid a positive foundation for a unified tour in the future. Hopefully next year ALL the big races in Euro land will be part of one big happy club. Until then, here are the winners and final standings from this summer in Europe, followed by the final Leaderboard Top 10 (skip to the full Leaderboard). 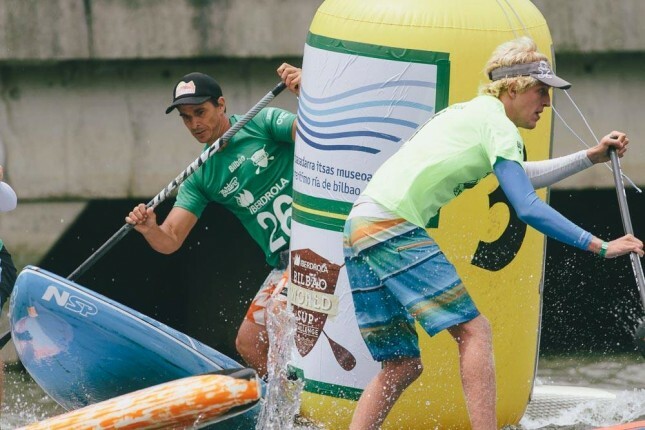 Paddlers that finished Top 50 at any of the Euro Tour races earned ranking points, with the more competitive races being worth more points (each race was worth a minimum of 15%, with the Lost Mills men’s event the highest rated at 43.5%; see the Euro Tour Race Index for a full guide). Only a paddler’s top three results counted for their total points.